The lines between death and life were neither fixed nor finite to the peoples of the ancient Mediterranean. For most, death was a passageway into a new and uncertain existence, and many perceived the deceased to continue to exercise agency among the living. Even for those more skeptical of an afterlife, notions of coming back to life provided frameworks in which to conceptualize the on-going social, political, and cultural influence of the past. 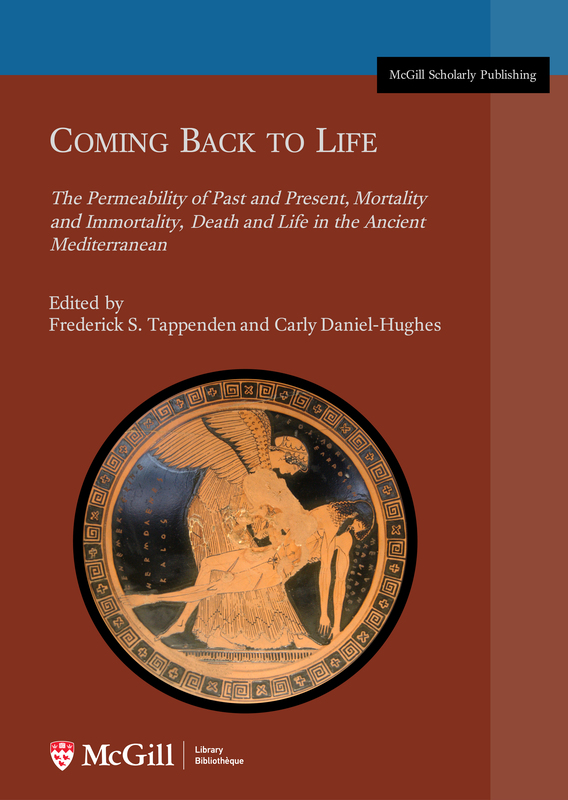 This collection of essays examines how ancient mediterraneans use notions of coming back to life as discursive and descriptive spaces through which to construct, maintain, and negotiate the porous boundaries between past and present, mortality and immortality, death and life. As a joint initiative of the McGill University Library and the School of Religious Studies, the Coming Back to Life eBook establishes proof-of-concept for McGill’s eBook publishing initiatives. This volume is designed to harness the power of digital technologies. Embedded throughout the collected essays are hyperlinks to online critical editions of primary literature, museum exhibits, and images of artefacts and archaeological remains. By drawing these online resources together, this volume brings the literature, thought world, practices, and material cultures of the ancient Mediterranean back to life in ways that are impossible in a traditional print format.